I’ve already posted a picture of the new, dark pink sparkle bags I am making (and putting small teddies in the front pocket of course). But I’m also making these small bags in other shades. Here are examples of the pink shades you will also find these pretty bags in. Pale rose pink with a cream trim is always a favourite colour (it always reminds me of pink and cream icecream, which is why it might be my favourite 🙂 ). But pink small bags also come in multi shades, from rose pink and candy pink, through to lilac and cream. Just like the pink sparkle bags, these small bags, complete with small teddy, are for sale at fairs and markets for £5.00 each (postage and processing is added to the online price). So, these lovely little bags make an ideal gift which will be very much appreciated! 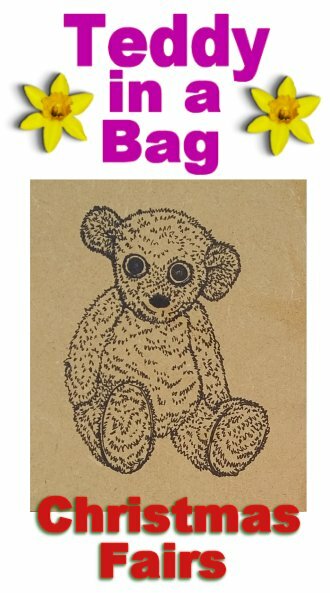 Posted on October 31, 2018 October 30, 2018 by Silvi VealePosted in Little Bags, Shoulder Bags, Teddy in a bagTagged all ages, Children's bags, Crochet Bags, Shoulder Bags, small bags, small teddy, Teddy Bags.